How to Easily Master Format HUAWEI P8 LITE (2017) / HONOR 8 LITE with Safety Hard Reset? Tips and tricks to fix HUAWEI P8 LITE 2017 problems. Some country call this phone with HUAWEI P8 LITE 2017 edition and some other country release this phone with name HUAWEI HONOR 8 LITE. This phone have 1080p resolutions at 5.2 inches LCD screen size. When the first time release in the market, this phone use Android Nougat as factory default operating system. 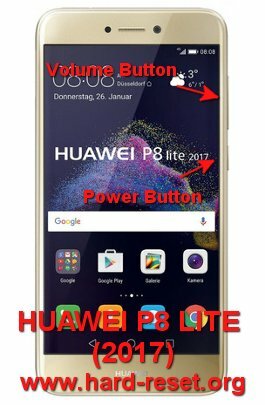 Find more review information and solutions to fix HUAWEI P8 LITE (2017) / HONOR 8 LITE at www.hard-reset.org community. What is Advantage of HUAWEI P8 LITE (2017) / HONOR 8 LITE Specifications? The HUAWEI P8 LITE (2017) / HONOR 8 LITE will continue the step until ready to use in clean factory default. How to Make Battery of HUAWEI P8 LITE (2017) / HONOR 8 LITE Stronger, Life Longer and Not Fast to Drain ? Using Lite mean some some specifications reduce because the price is also more cheaper then Huawei Honor 8 without Lite. This phone use 5.2 inches LCD screen with 3000 mAh battery capacity. Many users will happy with battery life, but some users also have trouble with battery drain fast at HUAWEI P8 LITE (2017) / HONOR 8 LITE, especially when we see several full movie or playing games for several hours. We can extend battery life of HUAWEI P8 LITE (2017) / HONOR 8 LITE by doing some adjustment. First please make LCD screen brightness as low as possible. How to Safety Format LG Optimus One P500 to Factory Default?